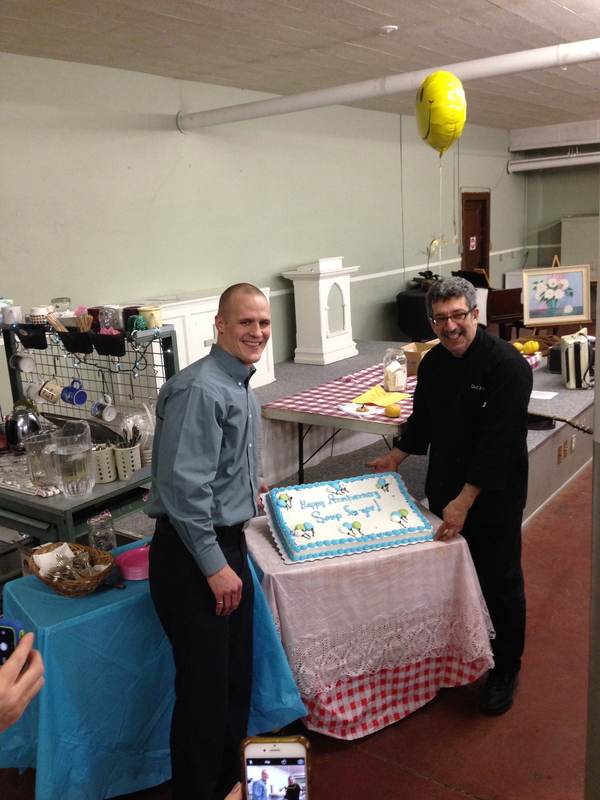 2015 Business Honor Roll recipient, Soup for You Café at Bethany Lutheran Church, celebrated its first anniversary on February 2, 2016 with singing, cake, prizes and a community celebration. They set a new record for attendees that day, serving 104 members of the community five different kinds of soup. They also passed a major milestone, serving the 10,000th bowl of soup during the anniversary meal, marked by ringing a bell. There were special activities, guests and desserts that entire week to mark the anniversary. 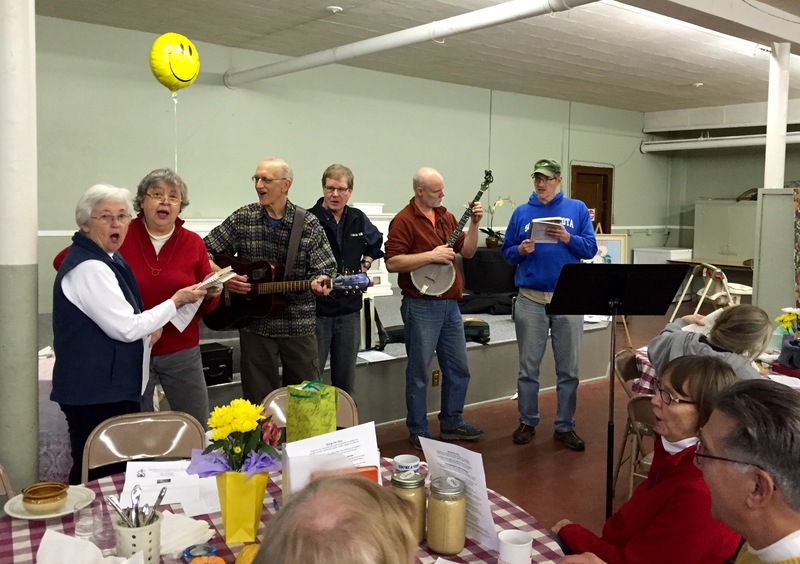 Soup for You Café serves lunch (homemade soup and bread) Monday – Friday from 11 am – 1 pm in the basement of Bethany Lutheran Church. Diners pay whatever they feel is a fair price, or whatever amount they are able to pay. Soup Master Judah Nataf says the café “builds community one bowl at a time”. If you haven’t visited yet, be sure to drop by for some soup and community! Does your business use plastic bags? 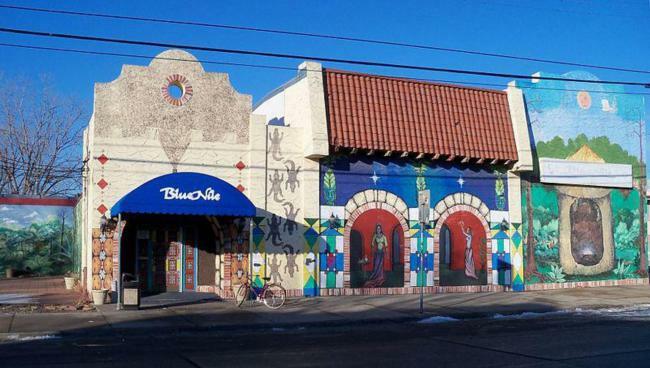 Join us at this Business Advisory Meeting to learn from Minneapolis City Council Member Cam Gordon on how the proposed ban would affect your businesses. Plus provide feedback about how the proposed ban would affect your businesses. How do you take care of your sick employees? Deputy City Coordinator, Nuria Rivera-Vandermyde will be present to answer questions and listen to feedback about upcoming mandatory sick time policies for Minneapolis businesses. These policies may significantly affect your business and we want to make sure your are informed and your voice is heard. For more information visit the Lake Street Council website. Zipp’s Liquors presents the Sixth Annual Sweethearts and Spirits: Beer, Liquor and Wine tasting fundraiser on Friday, February 26th from 6:30-9:00pm at the Minneapolis Eagles Club (2507 E 25th St). Enjoy samples of beer, wine and liquor. Eat delightful treats from local businesses and partake in Zipp’s now famous silent auction. Stay for the after party where a keg of Summit will be tapped in the Eagle’s bar. All proceeds benefit Seward Longfellow Restorative Justice Partnership, a program that works with the community and young offenders to repair harm by involving the victim, offender, and community in solutions that promote healing, accountability, and reconciliation. Tickets available at Zipp’s or at the door for $20. Sponsored by Zipp’s, Eagles Club, Summit Brewing, Thrivent Financial and Seward Co-op with support from Birchwood Café, Welna II, Wood from the Hood, Fun City Dogs, Common Harvest Farm, Northern Clay Center, Just Photos for Humans, K’ul Chocolate, Soberfish, Gandhi Mahal, Mon Petit Cheri, Coastal Seafoods, and Prohibition Kombucha. The January SCCA meeting featured Council Member Cam Gordon and Marcela Sotela, aide to CM Abdi Warsame, taking questions from members about a wide range of city issues. CM Warsame was unable to attend due to the birth of his new daughter, but will come of the February meeting instead. Topics of discussion included the Working Families Agenda sick leave policies, the proposed Bring-Your-Own-Bag ordinance, new streamlined licensing for food trucks to attend special events, a new ordinance to support micro food processors, and concerns about graffiti and the damage it does to our communities. Marcela and Cam both highlighted what a diverse community Seward is with deeply engaged members. 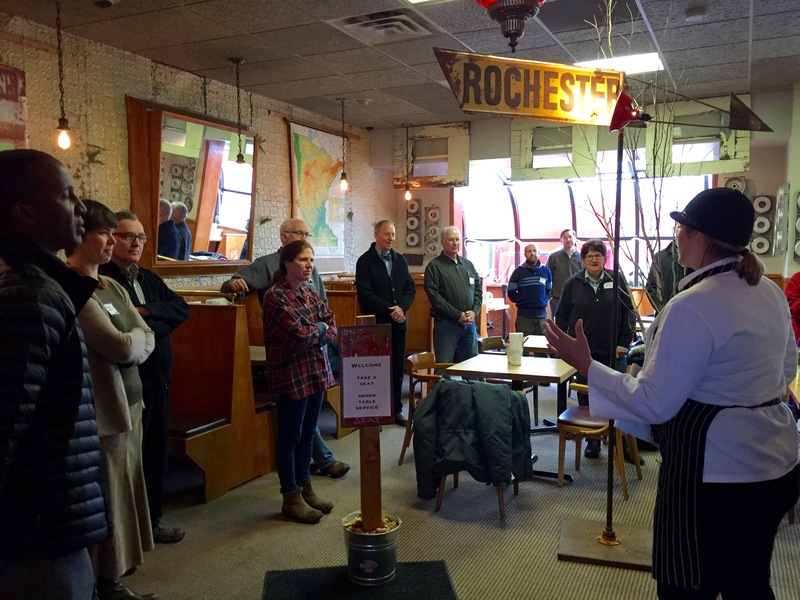 Chef Shack owners Lisa Carlson and Carrie Summers gave a short overview of their business, which includes a fleet of food trucks and a second restaurant in Bay City, WI. They work with many local farmers and providers to source ingredients for their menu. They served up a delicious lunch of tacos, enchiladas and salad for the 17 members present. The conversation was engaging enough that nearly everyone stayed a full half hour past the official end time of the meeting. Thank you to everyone who came! The paid sick leave workgroup has officially set dates for their public meetings to get feedback as they work to develop a policy recommendation. This group is composed of 15 members, just more than half of whom are business owners or representatives of business associations. 7:00 – 8:30 p.m., Aster Café, River Room, 125 SE Main Street. 2:00 – 4:00 p.m., Allina Commons, Pettingill Hall (lower level,) 2925 Chicago Ave S.
If you have questions or concerns, please contact your City Council member. Hennepin County is preparing for the repaving of Franklin Avenue (County Road 5) between South 16th and South 21st avenues in 2016. This includes the high volume intersection of Franklin and Cedar, which is immediately adjacent to the intersection of Franklin and Minnehaha avenues. Boneshaker Books is a radical & progressive bookstore located in the Seward neighborhood of Minneapolis. Boneshaker, staffed solely by volunteers, first opened in January of 2011. They specialize in progressive/radical literature, children’s books, and a curated fiction section. The event will include tours of the new facility, examples of innovative materials reuse, refreshments, and an opportunity to learn more about the nonprofit’s profound impact on individuals and the community. Better Futures Minnesota, the pioneering nonprofit organization that helps guide men who have faced a variety of personal challenge to a positive, productive path through its transformative program, is on the move. The organization’s headquarters and popular reuse materials warehouse have been located at two different sites along Olson Memorial Highway. 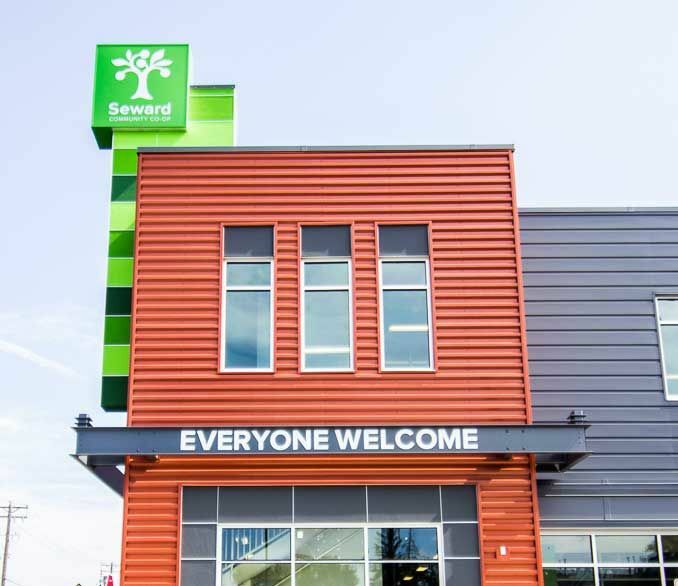 The relocation to 2620 Minnehaha Avenue South in Minneapolis consolidates its administrative services, training, and retail center to one primary location, allowing the organization to expand its programs, services, and clientele. For more information about Better Futures Minnesota, and event details visit BetterFuturesEnterprises.com. Are you interested in pursuing additional training to help expand or start a small business? The Corcoran Neighborhood Organization has partnered with the Neighborhood Development Center (NDC) to provide the “Plan IT” entrepreneurship training program for area small businesses and residents. “Plan It” is a good fit for small businesses who hope to expand/stabilize as well as individuals who may want to start a business. Visit http://www.corcoranneighborhood.org/planit for more information. We’ve extended the application to next Friday (1/15). When: One evening per week (day TBD) late January through March. Cost: Businesses typically pay $100 to $600. (Most pay $100) Scholarships are available. In December Café Racer began offering Sunday Fundays 6- 9 pm. -Sun Jan 17th: Hot in the Kitchen Cooking Class: Brunch Basics. $30/person covers a cooking class. -Sun Jan 24th: Karaoke. Join in for a night out of the house and out of the cold! -Sun Jan 31st: Forum Night. Come and hear from local people from the Twin Cities about a wide range of topics. Want to share about a project or hobby you’re interested in? Let the Café know. Each Sunday Funday features drink and tapas specials. The Café would love to hear from you if there is a theme night you would like to see. Local artisan and craft shows, game nights, movie nights — send your ideas! They want Seward to have lots of options for winter, no matter what the weather. The Café also started Date Night at Cafe Racer Kitchen on Tuesday-Thursday nights from 5pm-8pm. $40 per couple gives one alcoholic beverage per person, two appetizers, two entrees, and one shared dessert. Plus, bottles of wine will be available for sale during these times. Watch for Valentine’s Day specials, too! It’s that time again – yes, the holiday season, but also the annual SCCA board member elections! At our Annual Celebration & Board Elections on Thursday, December 17, Seward businesses and civic members will cast ballots to elect the 2016 SCCA Board of Directors. For more than 50 years, SCCA has represented Seward’s vibrant business and civic community, and helped to make Seward a great place to work and live in. The board would like to send a huge THANK YOU! to two outgoing board members, Jennifer Schoenzeit, owner of Zipp’s Liquors; and Jenny Larson, owner of Jennifer Larson Communications Design. Jennifer Schoenzeit has been serving as the SCCA Treasurer, and her enthusiasm, generosity and ability to get things done has been of great service to the organization. 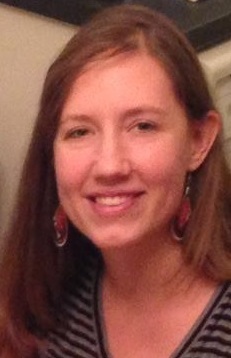 Jenny Larson has been a board member since 2008. The board has benefitted from Jenny’s sunny personality, her commitment to the community, and her graphic design and photography skills. She also coordinates the Seward Solopreneurs, a group of home-based businesses and entrepreneurs. Both Jennifers will be greatly missed! Mekbib is a Business Banker at the Wells Fargo branch at 26th & East Franklin and is running for the SCCA Board for the first time. He sits on a loan committee for a local East African development group, and looks forward to connecting more with the Seward business community. 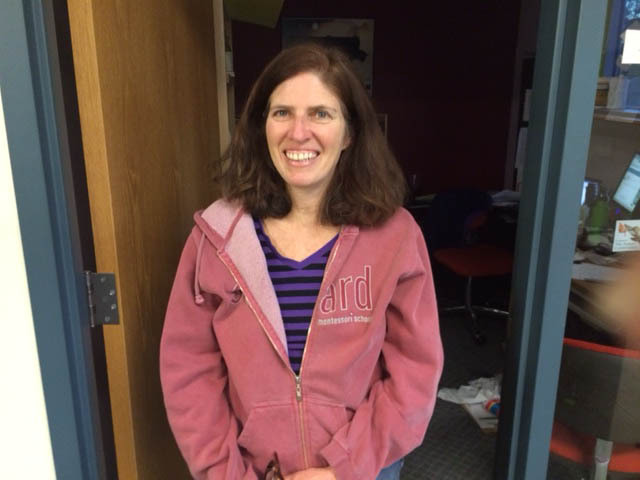 Kerry is the Community Coordinator for the Seward Neighborhood Group (SNG), and as such she coordinates events like the Seward Garage Sale weekend, the Garden Tour, King’s Fair and the Seward Winer Frolic. She also fundraises, coordinates volunteers, and is a contributing editor of the Seward Profile publication as part of her work at SNG. Kerry has served one year on the SCCA board, and her perspective and experience have been a great asset. Rick has served 2 terms on the SCCA board, and is currently our Vice President. 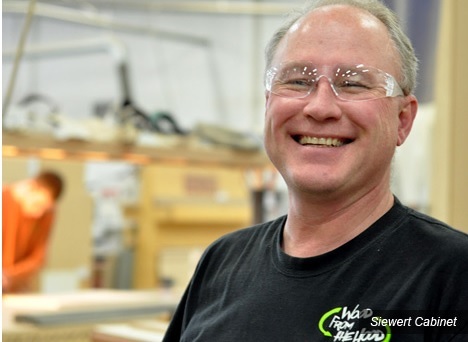 He is the owner of Siewert Cabinet, a full service provider of commercial cabinetry, including millwork, casework, fixtures and furniture. The business was founded in 1965 by Wayne Siewert in his Seward home, has been in the neighborhood ever since, and now employs more than 35 people. Rick has continued the family tradition, and graciously hosts the monthly SCCA board meetings around his hand-crafted conference table. 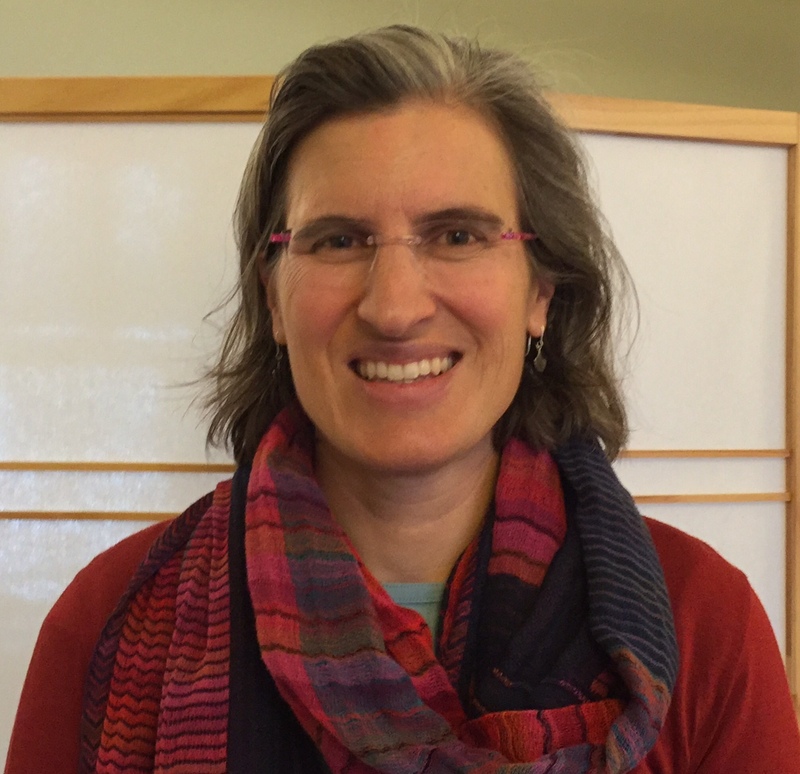 Renee is a Project Manager at Seward Redesign, and a former staff person for SCCA. She was appointed by the SCCA board in 2015 to complete the term of a resigning member. Her work at Redesign is focused on business development, commercial leasing and new development projects. She also works on fundraising, infrastructure planning, and solar energy projects. Renee’s knowledge of SCCA and her enthusiasm for community development are a valued addition to the SCCA board. All current SCCA members are encouraged to join us to celebrate the year and vote for the 2016 Board candidates on December 17 from 4 – 6 pm at Joan of Art Gallery: click here to RSVP. 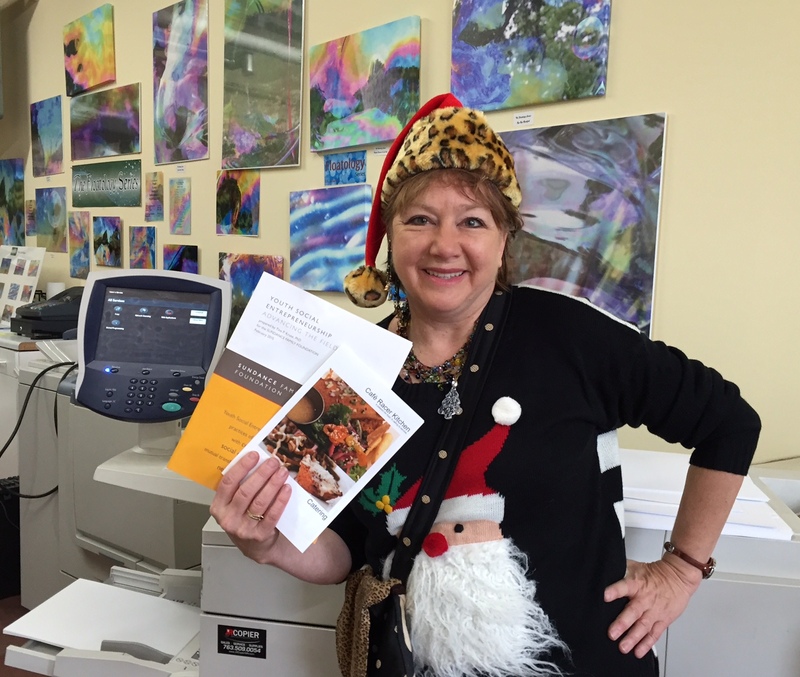 Vicki opened the print shop in September 2013 after spending 13 years running the Augsburg College copy center. Her job was eliminated earlier that year when the college decided to cut costs and outsource those services. An actress with many connections to the theater community, Vicki’s friend Rick Coleman was running a copy shop in New Richmond, WI. Rick also operates two theaters with Kathy Welch through their business Green T Productions. He didn’t have time to run the copy shop full time, so Vicki suggested they move it to the Twin Cities where she could run it. She visited the Ivy Building and got on the waiting list for space, as she was impressed by the building and the vibrant community of artists. When a ground floor space with its own entrance became available she and Rick knew this was the place. The location also serves Vicki well as she lives on the West Bank and doesn’t own a car, so the #7 bus line is her convenient route to work. Her business partner Rick manages the finances from New Richmond. A full service copy and print shop, Ivy Arts Copy & Print can help you with brochures, postcards, buttons, business cards, booklets, binding, laminating, and more. The shop does a lot of posters, programs and other printing for local theaters such as Open Eye, Bedlam and Frank Theater, so stopping at the front counter is a great way to see what shows are running. An actress herself, Vicki is also known as Vicki Joan the Rainbow Lady in her work as a storyteller. Right now the print shop is producing a lot of calendars for local artists, as well as chapbooks and zines. Currently Vicki is the primary employee, with one assistant who is there a few afternoons a week. She would like to add staff and offer more services like large format printing. She also hopes to upgrade the equipment as they grow. A new member of SCCA in 2015, Vicki enjoys connecting with other businesses and artists in the neighborhood. If you need to copy, print, fax, or scan something, stop by Ivy Arts Copy & Print at 2637 27th Ave S, Suite 6 in the Ivy Building. Look for their sandwich board on the sidewalk. Hours: 11 am – 6 pm, Mon-Fri AND by appointment. Vicki says never hesitate to contact her if you need a job done on the weekend. She is happy to open up with advance notice. 612-728-8000 or printer@ivyartscopy.com. See SCCA’s October Post for background on this issue. Read more about the scheduling issue in this StarTribune article. “We understand the desire to improve working conditions for all employees in our community. These proposals if adopted will have many unintended consequences that are not good for either the employees or employers. The proposal paints the entire business community with a broad brush to address problems with a few businesses. The proposals under consideration would insert the city of Minneapolis into the daily operations of thousands of businesses in our community that are not covered by a union contract. The proposals if implemented have a drastic impact on the daily operations of many of our businesses and also add unfunded additional costs. As we discuss this issue with businesses throughout Seward we have found that many businesses are still not aware of the proposals. In particular many immigrant businesses are unaware of the proposals, as no outreach in languages other than English has been done, to our knowledge. When information regarding the proposals is shared the reaction is strongly negative. As a result of pushback from many local businesses and business associations, including SCCA, Lake Street Council and Longfellow Business Association, on October 30 the City Council established a 15-member “partnership group to study the impact of policy proposals related to workplace regulations on earned sick time and paid time off.” The Workplace Regulations Partnership will consist of employee, organized labor, business and business group representatives. “The partnership group is directed to engage the community in the development of its recommended policy proposals through focus groups, listening sessions, and similar practices and may consult subject-matter experts in the course of its study.” The group’s final policy proposals on earned sick time and paid time off will be presented to the City Council by February 24, 2016. All Minneapolis employers are invited to attend the November 17 SCCA Forum on Workplace Regulations to stay informed and learn more about these significant workplace proposals. SCCA members are encouraged to reach out and invite a neighbor business to attend. Presenters at this informational forum include Jim Welna, owner of Welna II Hardware & Paint and current SCCA Board member; and Allison Sharkey, Executive Director of Lake Street Council. Mary Opila and Marge Higgins are professional upholsterers who launched their studio this past summer out of their home in Seward. They haven’t always been upholsterers: Mary practiced architecture for more than 20 years with a large firm, and got her start by designing and building furniture evenings and weekends. 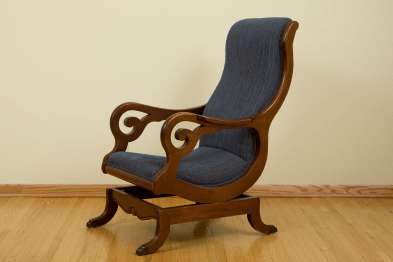 This led to her spending a year in Hickory, North Carolina, where she trained with factory upholsterers and apprenticed with a local craftsperson. 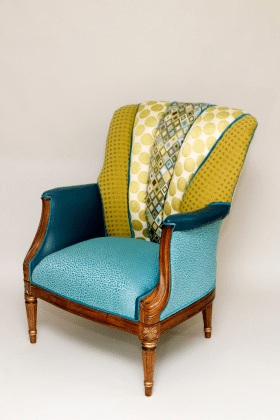 In contrast, Marge began learning upholstery as a hobby 30 years ago in St Paul, soon after she graduated from the College of St Catherine with a degree in social work. Her teacher and mentor was Sister Clare Collins, who passed away in 1996 and left her upholstery tools to Marge. Once Marge retires from her career as a social worker, she plans to join Mary as a full-time upholsterer. Mary Opila in Encore’s workshop. Mary and Marge also continue to refine their craft and skills. They plan to attend a 2-week master training course in Cornwall, England through the Association of Master Upholsterers & Soft Furnishers (AMUSF), a British organization. 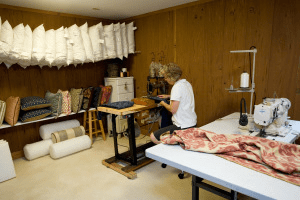 Locally, Mary and Marge belong to the Professional Upholsterers’ Association of Minnesota and often attend monthly meetings where members share skills and experience informally. 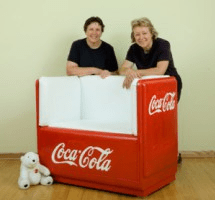 Marge & Mary turned this old Coke cooler into a couch! Encore Upholstery Studio are also new members of SCCA, and have attended several meetings and events this year. According to Mary, “We’ve made several good connections through SCCA, including Landreau Insurance Agency for our insurance needs, and Cedar Box Company, who can make custom boxes for shipping furniture.” They also hooked up with Pizza Lucé, who sponsored the Studio’s booth (more like a living room) in front of the restaurant during Open Streets Franklin this past summer. 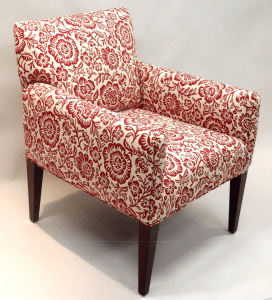 To contact Encore Upholstery Studio, email to info@encoreupholstery.com or call 612-588-4242. 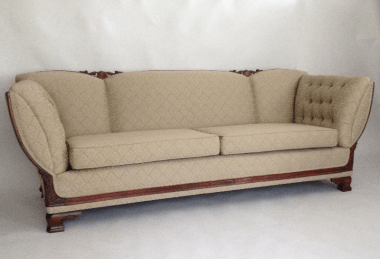 Their website is http://encoreupholstery.com/, and their studio is open Monday – Saturday by appointment.